Previously: Zack and Gina attempted unsuccessfully to send the mysterious Objects back to Ismara. Now what? Gina hmmmed, then picked up the Object she called the letter opener and held it over the harbor town of Kellansend. Kellansend was represented by a glowing blue circle just off the southern tip of Sur (South) Kellan, seventy-nine quamtomurs (about 53 miles) across the Kellish Way from the western coast of Frenga. A wavering shape, like the blue flame of a gas burner, rose to meet her hand. “No!” Zack shrieked. He reached out to stop her from letting go of the Object. “Zack, cut it out! I’m not gonna…” She struggled to keep it from him. “We have to…” Zack grunted, trying to grab the Object, as he leaned out over the Map from the side opposite Gina. A loud WHOOM erupted in their faces. 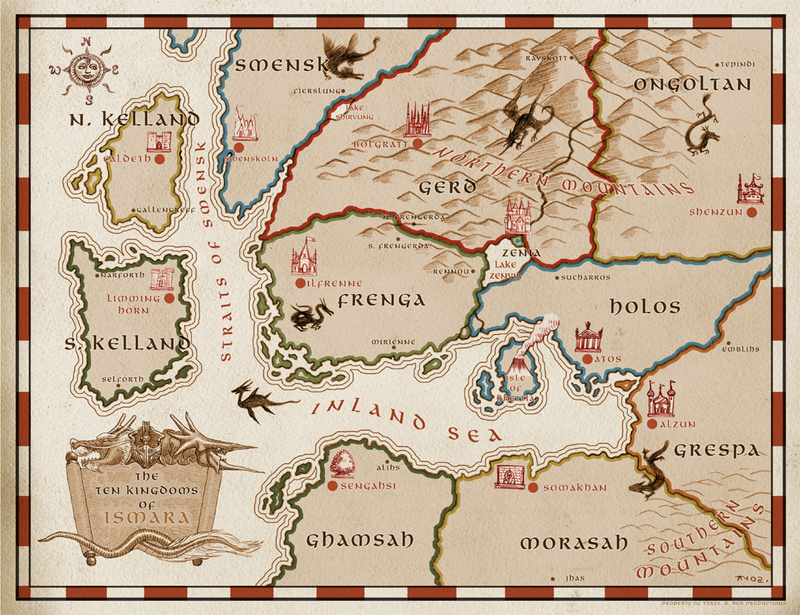 The air over the Map began to shimmer, and then the Map itself began to move beneath them. Gina and Zack pulled back instinctively. When they did, they both lost their grip. The letter opener fell into the blue flame and disappeared with a FOOP. As the ends of the Map flew upward, Gina lost her balance. Zack reached out to steady her, but when he did, he too lost his balance and crashed forward onto the pile of Objects. “Noooooo!” Gina screamed as she rolled back and to the left. “The Ob…!” Zack shouted, as he tumbled to the right. He reached out to grab any he could, but they’d become active dynamos, racing toward blue circles all over the Map. Then One by one the Objects disappeared. Zack and Gina felt the tide-like suction of the blue rings on different parts of their bodies; they were too big and too horizontal and the Map didn’t know where to send them, so as it rose spinning in the air it centrifuged them off onto the floor. They looked up, mesmerized, as the Map whirled above them. A series of POPS emanated from its blue rings, and then it began to slow down, almost as if an off-switch had been thrown. It finally stopped spinning and drifted back to the ground. They silently dragged the broken chest back into Zack’s room. Gina tripped over one of Zack’s comic book stacks, ripping the plastic sleeve off a priceless Golden Age Green Lantern. Gina scuttered to keep from losing her balance as her wiry little freight train of a brother shoved her out into the hall. She fell back, landing hard on her bottom, and screamed, “Zaaaaaaack! You imbecile!” But before she could finish her sentence, he’d slammed his door with a force that threatened to level the house. She rose to her feet, firing the words “I – HATE – YOU!” as though they were armor-piercing bullets. Thoughts: Have you ever told someone you love that you hate them? How did you resolve the situation–or did you? 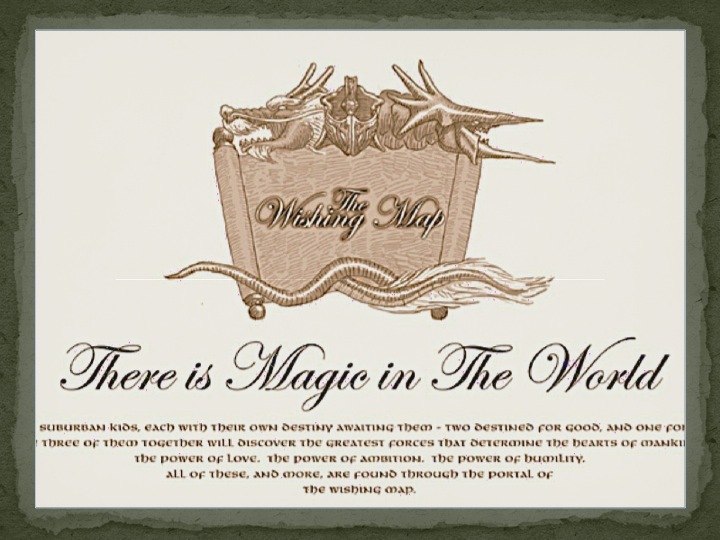 To read The Wishing Map 58, click here! This entry was posted in Story Power, The Wishing Map and tagged blame, defensiveness, fault, Gina, hate, hurt feelings, pride, Zack. Bookmark the permalink. Have you ever told someone you love that you hate them? How did you resolve the situation–or did you?